Not many people know Peling Island. 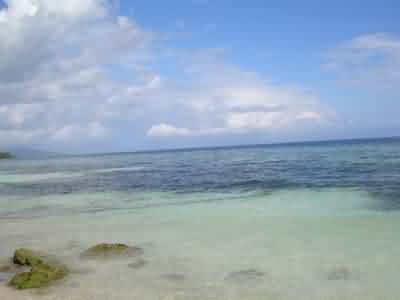 But in fact, that pearl of Banggai Islands regency, Central Sulawesi, Indonesia, has undiscovered natural charm. It seem that the problem of transportation is still a barrier to reach the small island. 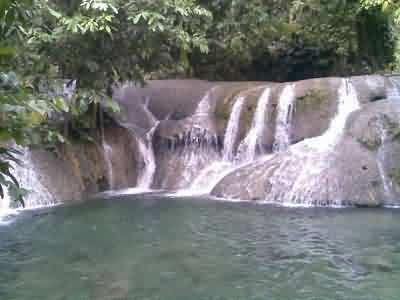 To reach Peling Island, you can depart from Luwuk region, Central Sulawesi. From Luwuk, we can go to small port to cross directly to Peling Island. The main transportation used is a medium-sized ship. The time needed to reach the island is also quite brief, it takes “only” about four hours. Peling Island, with an area of 2340 square kilometers, is one of hundreds of islands in the Banggai Islands regency (Bangkep). Incredible ocean views. Crystal clear water. Palm trees scattered everywhere. There is also a swimming pool that comes directly from springs. Very natural. Local people call it the Fountain of Luwuk Panenteng. The water is really clear and fresh. Note that this Sabang is not the Sabang on Aceh, but the Sabang in Central Sulawesi, Indonesia has many places with the same name. Arriving at Peling Island, don’t miss the opportunity to visit Sabang Beach. For your information, Sabang Beach is one of the most beautiful beaches in Sulawesi. 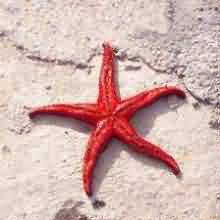 At the beach, you will not only enjoy its beauty and enjoy the shore breeze, but you can see collection of starfishes with a wide range of colors, directly. You can even touch them if you want. There are many colors, but mostly red and reddish brown. The charm of starfish on Sabang beach is always leaving a distinct impression for Peling Island although the island is indeed has a million beauty. If you want to see the beach with crystal clear sea water, while enjoying the cool shore breeze, and a fascinating look at starfishes from close range, you must visit Sabang Beach on Peling Island, Central Sulawesi, Indonesia. It will clear your mind, refresh your brain, and giving you unforgettable memories. Just to remind you again, it took at least over three or four hours, to discover the charm of peling Island from Luwuk port. The ship is not too big. So, be prepared to jostle with other passengers as while doused by the breeze from outside the ship.